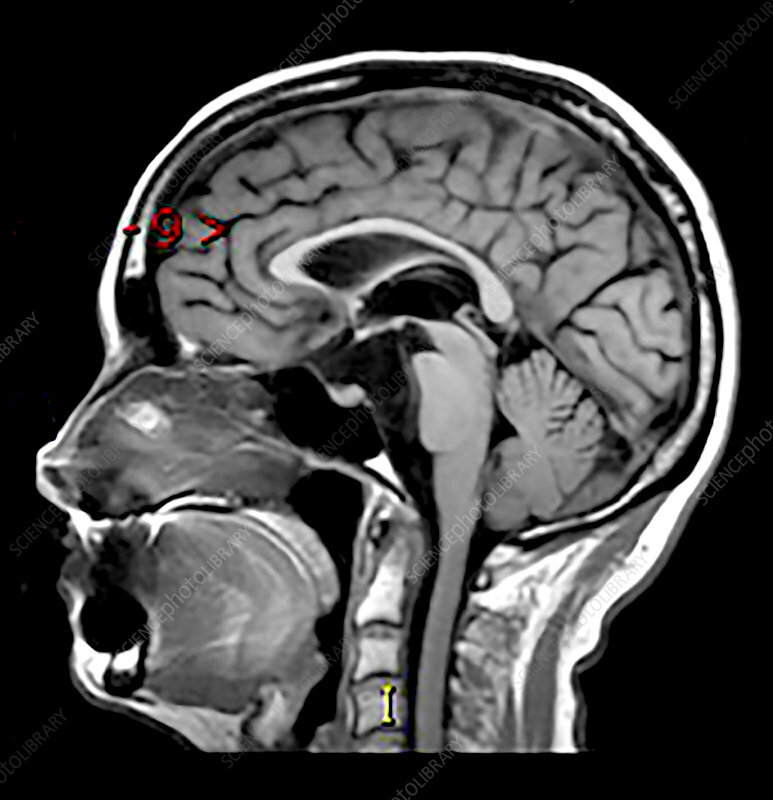 This sagittal (from the side) T1 weighted MR image without contrast shows a hypointense mass like region in the prepontine cistern with compression of the brainstem. This represents an epidermoid tumour/cyst which is a congenital lesion consisting of keratinized epithelium with desquamation. These expand/grow over time. This is the same as a congenital cholesteatoma.